Bellator 208 weigh-in is happening now as all the fighters went on a scale to get ready for the battle. It is set to go down on Saturday, October 13, 2018, at the Nassau Coliseum in Uniondale, New York. The preliminary card bouts kickoff online at 7:00 pm EST while the main card bouts begin on Paramount Network at 9:00 PM EST. 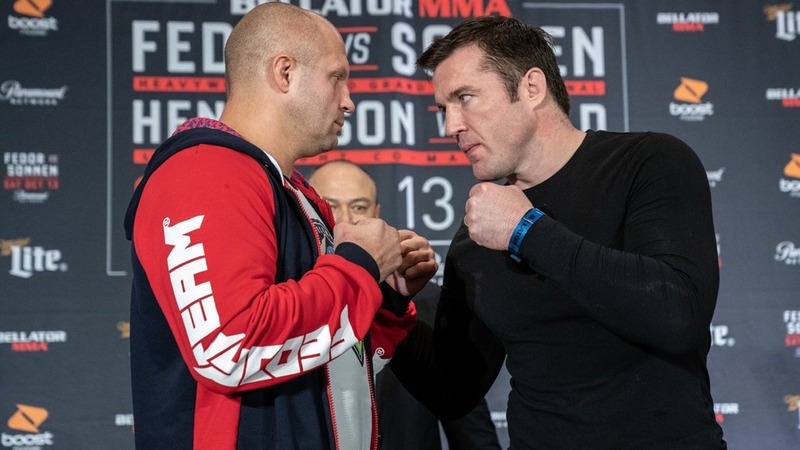 In the main headliner, Heavyweight Grand Prix semifinalists Fedor Emelianenko and Chael Sonnen will square off for a heavyweight bout. Meanwhile, in the co-main event, Alexander Shlemenko will meet Anatoly Tokov in a middleweight bout. More action in the main card features, Benson Henderson to face Saad Awad in a lightweight bout, Cheick Kongo to meet against Timothy Johnson in a heavyweight fight, and Andy Main and Henry Corrales will clash in a featherweight bout.